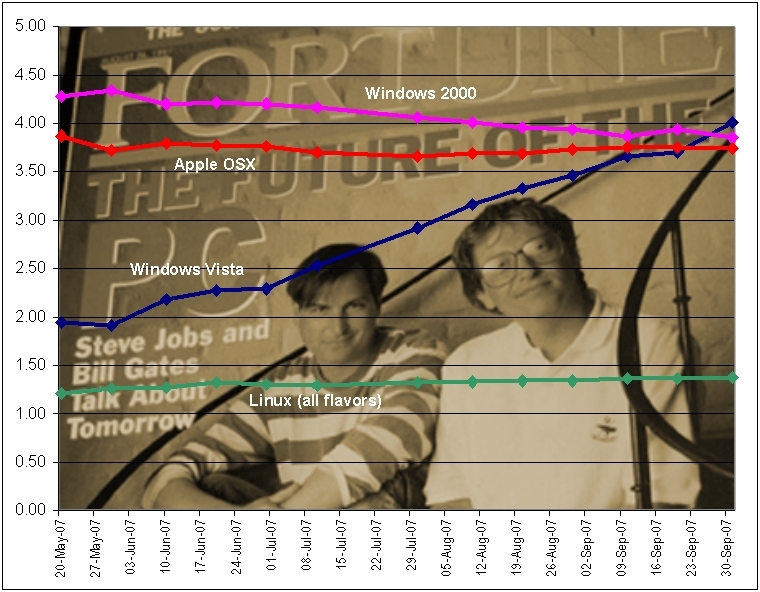 Posted by paralleldivergence in apple, Brad & Phil, Internet, Life, mac vs windows, vista, windows. Microsoft Vista was released publicly and globally on January 30, 2007 and it’s taken only eight months for this troubled operating system to overtake Apple’s computer flagships, the iMac and OSX. In fact, as the graph below indicates, percentage-wise, Apple has either been stagnant or declining over the past five months while in the same timeframe, Vista has shown steady if not strong linear growth throughout each survey.